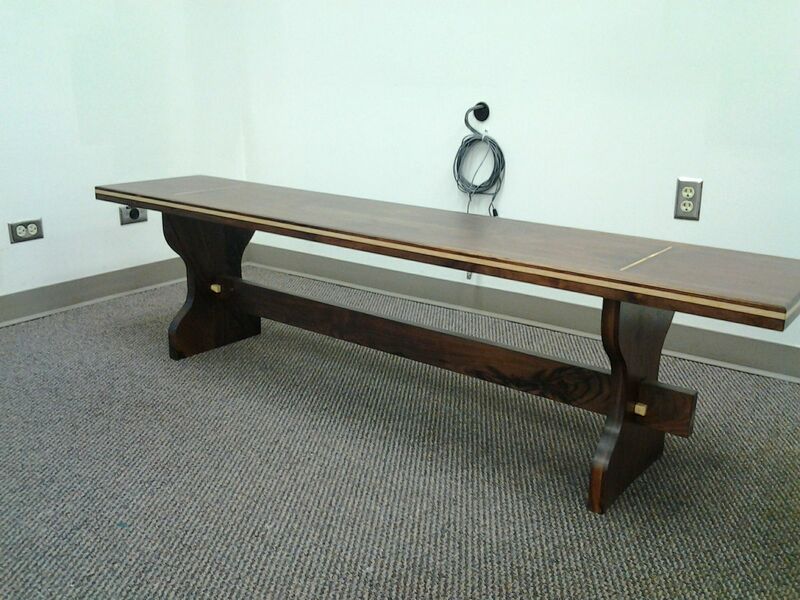 This table was designed for the CEO's office of a large IT company. It is used between two long couches for "think sessions". It is built from a single, locally cut walnut tree that was slabbed and air dried for about 8 years. 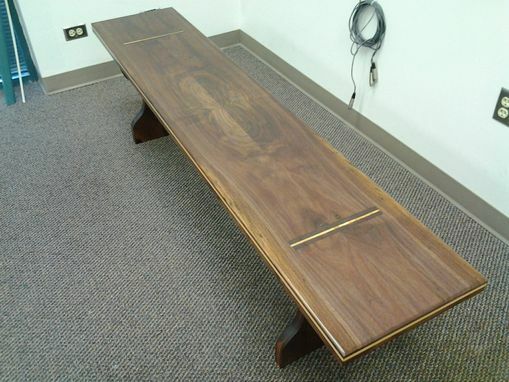 All the parts were cut from 2'' thick slabs, and the top quarter-matched veneer is 1/4'' thick for durability. 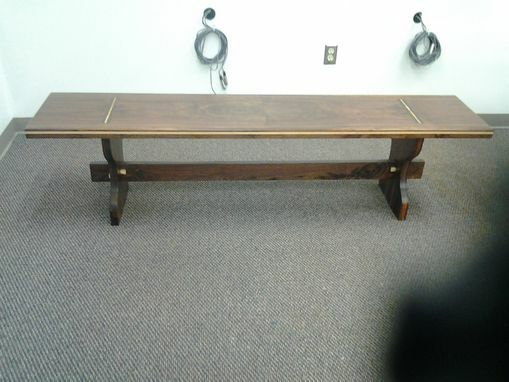 The legs protrude through the top and the maple wedges and pins in the trestle are keeping the table assembled. The finish is a clear penetrating oil to harden the wood and bring out the beautiful colors of the air dried walnut and then finished with a clear catalyzed lacquer. This is a very unique "one of a kind" table, that the rest of the office furniture and cabinetry were built to match.